Sick of carving ghoulish faces into your pumpkins? 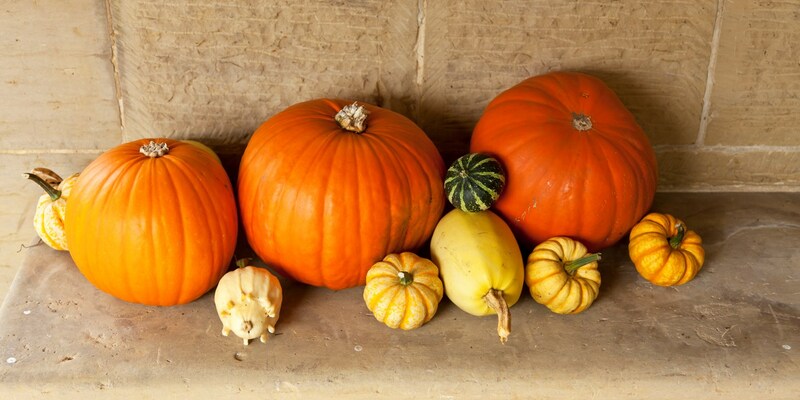 Put them to better use with this super seasonal menu making the most of Halloween’s iconic squash. If you’re a fan of concept albums, want to do your part for the thousands of pumpkins wasted every year or just really, really like the colour orange, the idea of a menu focused entirely on pumpkin no doubt appeals to you. 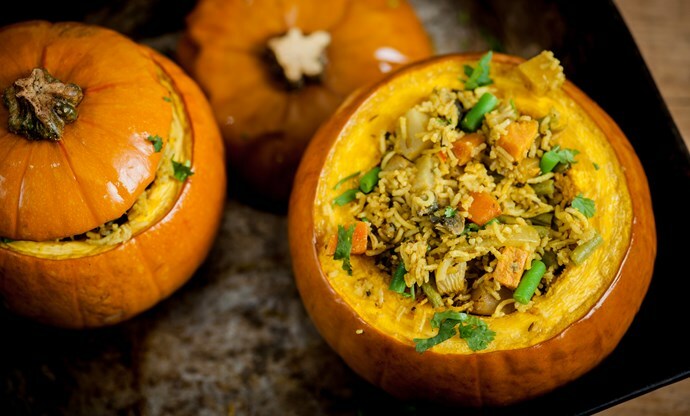 From the more familiar dishes to Cambodian desserts served inside a whole pumpkin, any squash-based cravings you or your dinner party guests might have will be thoroughly quenched. The most common pumpkin dish is popular for a reason – it’s perfect for chilly weather, full of flavour and tastes quintessentially of autumn. 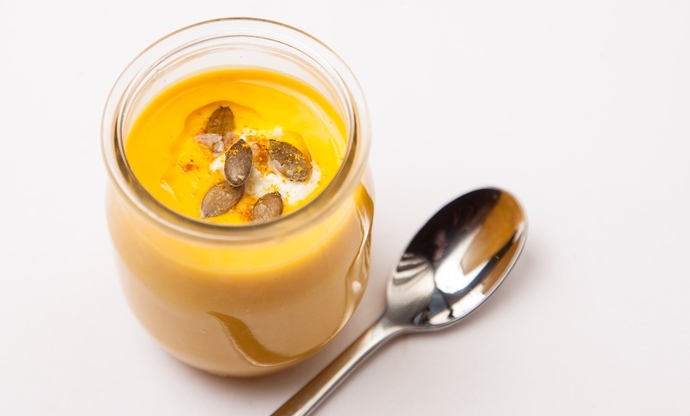 If you think pumpkin soup is a bit pedestrian, try Marcus Wareing’s version, which is given a boost with whisky-infused cream and crunchy pumpkin seeds on top. Want something more adventurous? 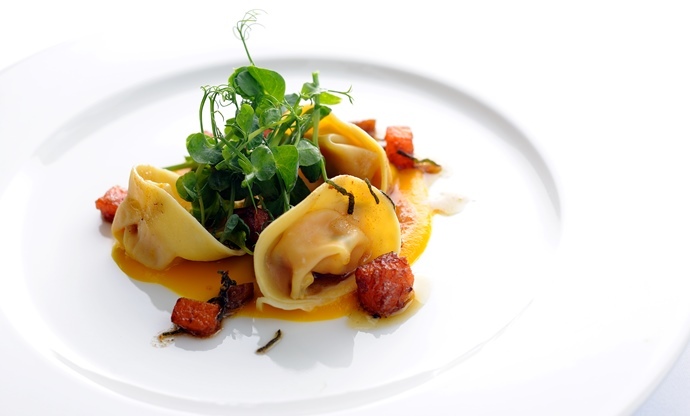 Not a problem – try Stephen Crane’s pasta starter which ups its seasonal credentials with a smattering of chestnuts. Pumpkins have such a nice look about them it’s almost a shame to chop them up for a recipe (although we’ll happily carve things into their sides). Vivek Singh knows this all too well, which is why he serves his fragrant biryani inside a miniature squash. If anything, it saves on the washing up. 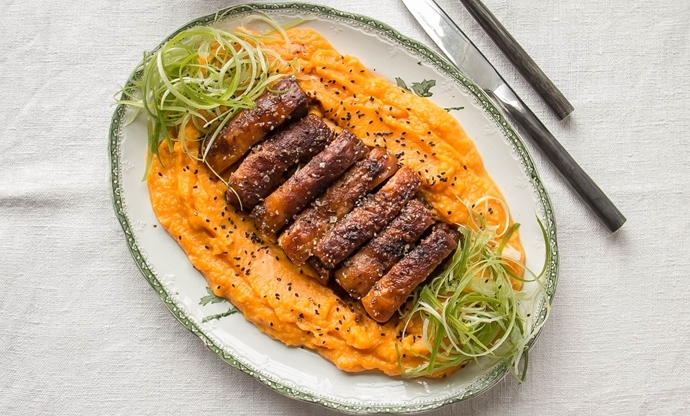 Rosana McPhee takes the opposite view, pulverising her pumpkin into a delightfully smooth mash to be topped with sticky, crispy pork belly and a scattering of sesame seeds. It certainly looks inviting, and the dashi stock gives the pork an incredibly deep, umami flavour. 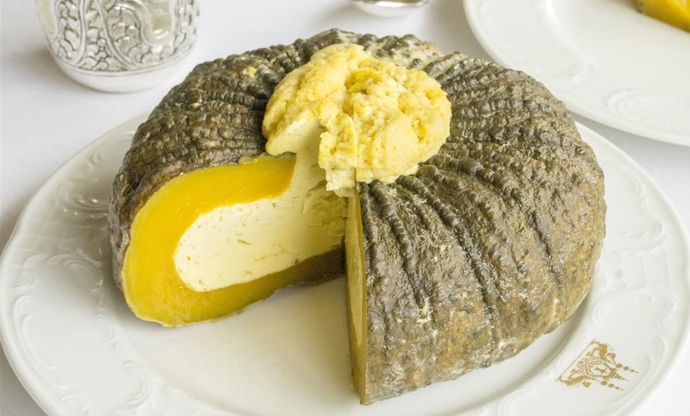 Cambodian cuisine is still somewhat of an enigma, but Leyla Kazim’s travels there uncovered this very special steamed pumpkin custard made with coconut milk, pumpkin flesh and twenty (yes, twenty) egg yolks. Serving it inside the hollowed out pumpkin before cutting it into slices turns this dessert into something truly theatrical. 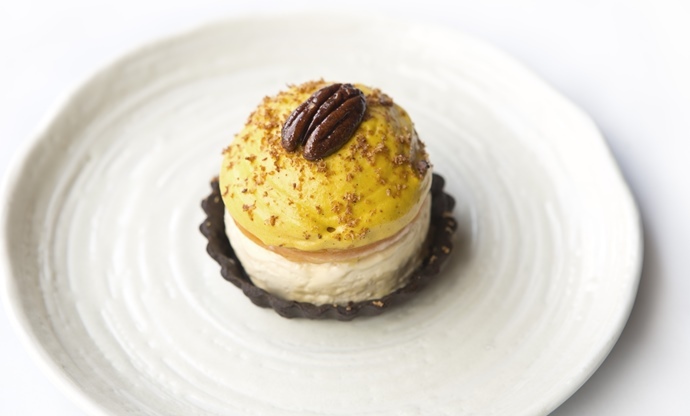 For something a little more refined, however, try Bryn Williams gourmet take on the pumpkin pie. Chocolate pastry, pumpkin mousse, pecans and a maple syrup parfait means it’s quite ambitious, but if you’re up for the challenge you’ll be well rewarded with an incredible way to finish off your Halloween dinner. So there you have it – an entire menu, from starter to dessert, celebrating everything good (and spooky) about this humble squash. All hail the pumpkin! 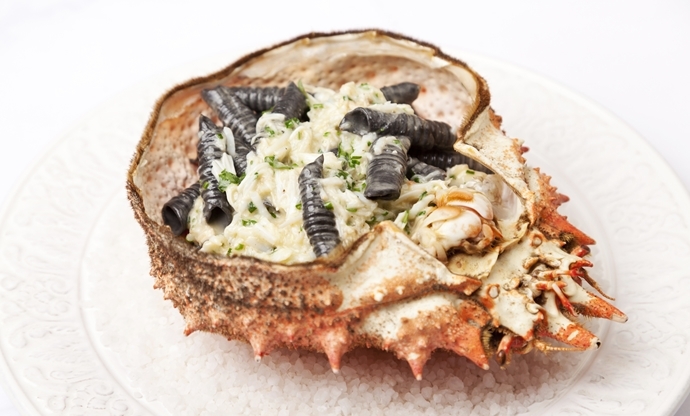 Explore more recipes for Halloween. . .